The FA1 product is used to make an adhesive bridge and penetration paints preparing the sub base for further application. 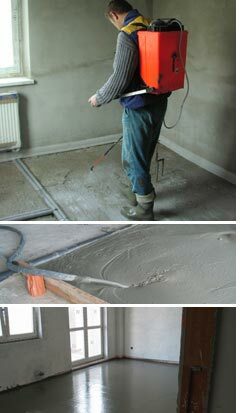 It prevents moisture suction into sub base structures, such as load bearing reinforced concrete slab. It is diluted with drinking water before application and it is applied with a roller, brush or by spraying. SIRCONTEC foam concrete must be applied on non-dried penetration paint for maximum use of FA1 properties. The FA1 penetration product meets requirements of standards and regulations valid in EU. SIRCONTEC usually delivers FA1 in 25 ? 30 kg plastic canisters. Specific technical information on FA1 can be found below in the Download Documents part.